1st KLA [Njarakkal-Congress], 2nd KLA [Njarakkal-Congress]. 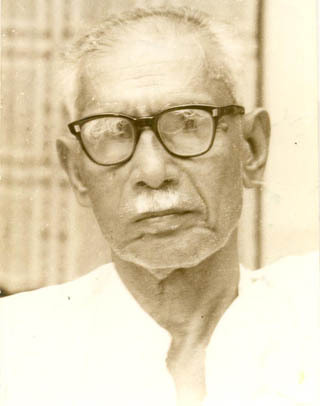 Son of Shri Kochakkan Chacko; born on 20 January 1899; Wife: Elizabeth; 1 Son. Governor, Andhra Pradesh from 14-8-1978 to 12-8-1983. Chairman, Committee on Estimate (1963-64); President, KPCC (1964); Member, Congress Working Committee (1967); Had been a renowned teacher for a long thirty years; Gandhian. Expired on 14-03-1986; Obituary made on 17-03-1986. Website maintained by Information System Section, Kerala Legislative Assembly, Thiruvananthapuram.